The MUSICwestport Kick Off Party on the Friday night before the MUSICwestport Festival day has become a heck of a party/gathering/celebration! It’s a wild one. And with the announcement that JARON FREEMAN-FOX & THE OPPOSITE OF EVERYTHING is coming back, it will be as good as it gets. 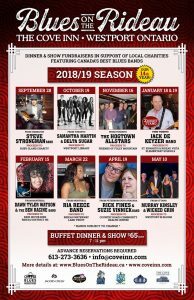 Don’t miss it, book early. 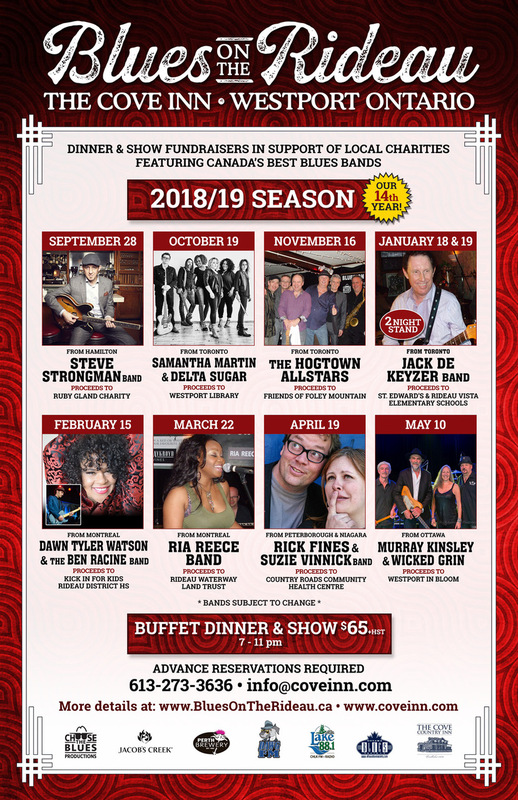 $50 + HST Buffet + Show. Call The Cove for reservations 1.888.COVE.INN. THANKS to AARDE CONSTRUCTION and Josh Doornekamp for sponsoring this great night!!! 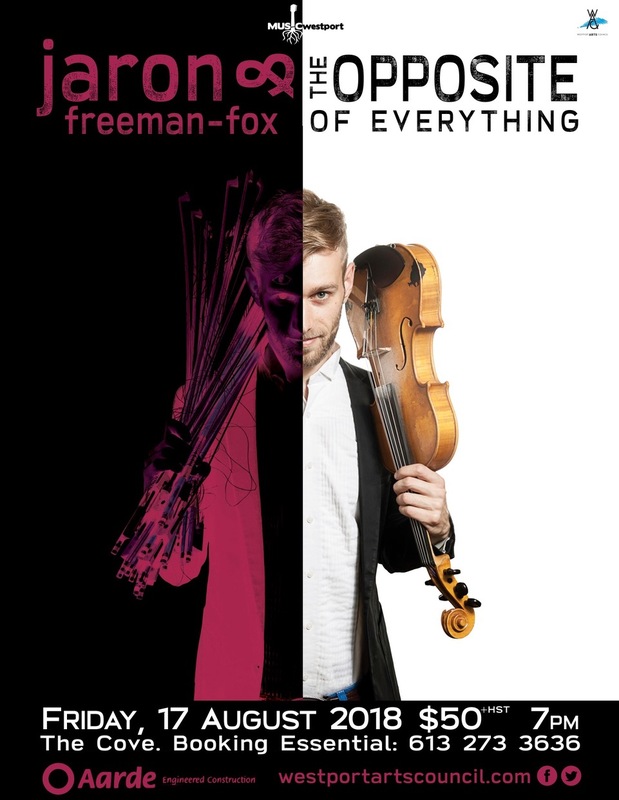 On a seemingly endless tour for the past 6 years, Jaron performs full-time with his award-winning band Jaron Freeman-Fox & The Opposite of Everything, as well as his his new experimental duo project, using an expanded-range electroacoustic 12-string violin set-up of his own design. Described as “Tom Waits playing the fiddle, backed up by the Mahavishnu Orchestra”, The Opposite of Everything transform Jaron’s intricate compositions into an infectious party! All the while maintaining “a delicate tactile mystery”. After 6 long years of touring non-stop around the globe, the band has a new album in the works for release later in 2018.